I love it when the weather starts getting cooler, the leaves on the trees start changing, and you see pumpkin stands along the side of the road. Something about the season of fall just makes me happy. 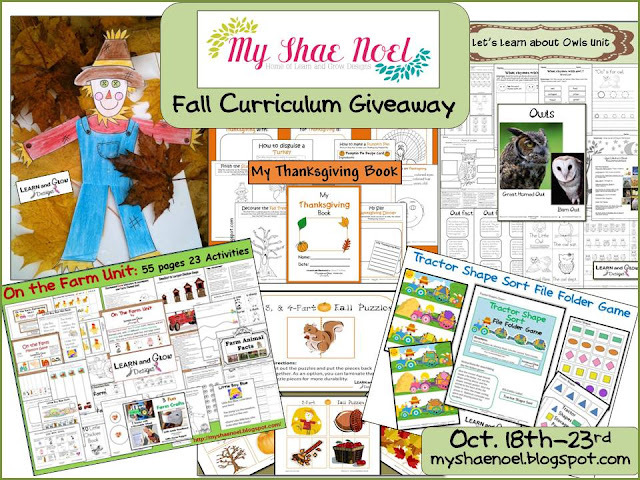 So, since I am loving fall, I decided that it would be the perfect time to giveaway some of my Fall Learn and Grow Designs items I have created. I will be giving away my Fall Curriculum Set (6 items pictured above) to two lucky blog readers. This giveaway runs from Oct. 18th - Oct. 23rd, and the winners will be announced on Oct. 24th (happy birthday to my sister on that day). All educational items in this giveaway are digital items and will be e-mailed to the winning recipient. 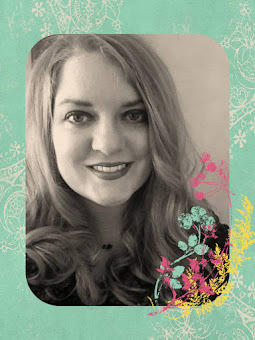 This giveaway is open to my U.S. as well as international readers. 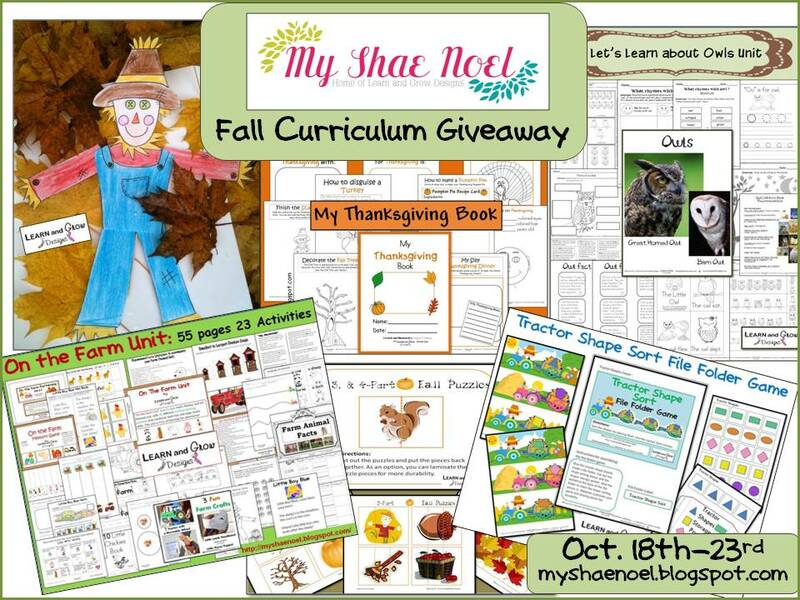 All of the items in my Fall Curriculum Giveaway were created by me, Shauna, of Learn and Grow Designs. These items can be purchased in both my Learn and Grow Designs Etsy and Teacher's Notebook Shops. My favorite thing about fall are the colorful leaves. I'm a traditionalist where fall is concerned; definitely the crunch of leaves under our feet as we hike. My favorite part of fall is the amazing colors. The leaves are so beautiful in the fall. It's like a rush of colors!